It’s the moment you have all been waiting for: Back Issues is back! …I’m sorry, I must be losing my hearing, because I can’t hear the resounding applause. 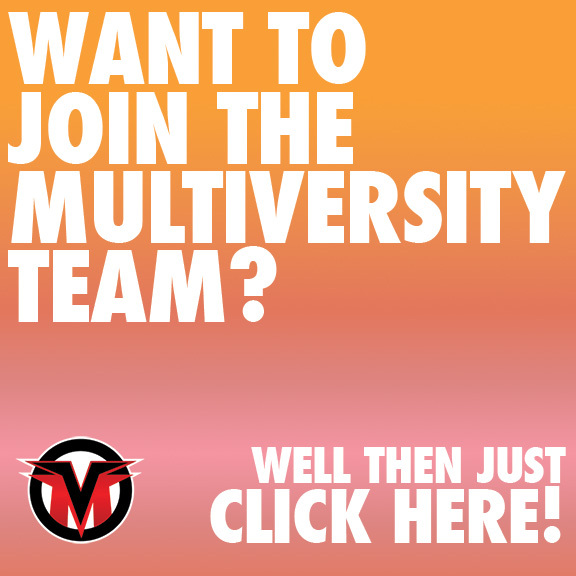 For those of you who haven’t been reading Multiversity Comics for years (and for those of you who simply forgot us), Back Issues was a short-lived webcomic co-written by myself and MC’s former editor-in-chief, Matt, and illustrated by Andrea Vásquez where we poked fun at current events in comics. After a few strips, though, we each had events come up in our personal lives that made sticking to a schedule difficult, and we eventually hung up our collective hats. Recently, though, Andrea had the idea of getting the band back together, and Matt and I couldn’t say no. And as fate would have it, the weekend we were talking about it, our first topic was handed to us at Marvel’s Next Big Thing panel at Special Edition: NYC. Don’t get me wrong, there’s certainly a business reason to have Iron Man be the face of Marvel as a whole, instead of the good ol’ webhead. But to extend that push to the comics, where Marvel has been putting out a variety of off-beat and diverse titles seems a bit silly. And while I’m a Bendis Avengers apologist (up to Siege, anyway), Tony was never the highlight of his run. Still, at least those Marquez preview pages look drop-dead gorgeous. Anyway, we are glad to be back, and we hope you’re glad to see us, whether our older strips gave you a chuckle or you’re new enough to Multiversity Comics that you have no clue who any of the three of us are.